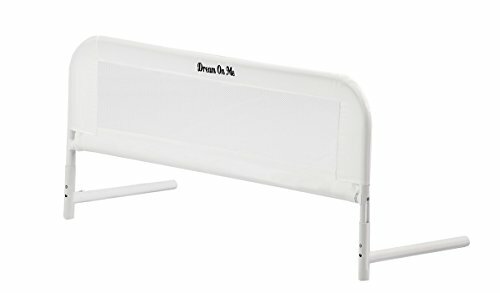 The Dream On Me Mesh Security Crib Rail safely fastens to the side of your toddlers convertible crib to aid in the transitioning process to a conventional bed. This lightweight and convenient crib rail arrives fully assembled and is designed to fit most convertible cribs, measuring 33.5 inches in length and 15 inches tall. A great investment that offers you and your little one peace of mind and sense of security during the transitioning process.